Do you have corrupted memory card ?.You can't format your memory card ?.You are in the right place .You can fix and format your corrupted memory card now .Follow simple steps and you will fix your problem . 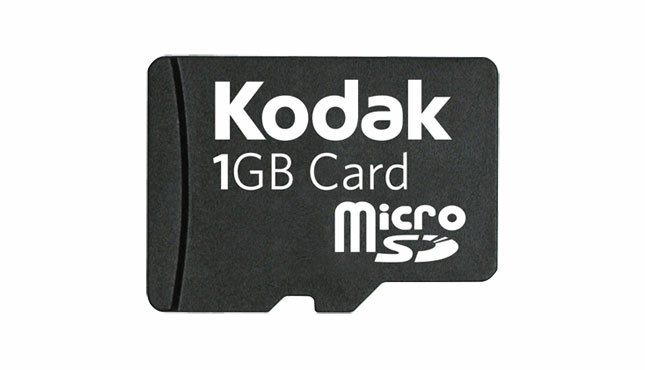 Many people suffer from memory card problems .Sometimes your memory card don't recognize weather on mobile or in computer usb.You may try to format it from computer but no way i know that because i try this way before but don't work .Now i produce to you a free program for formatting any corrupted memory card and restore the health of the memory card.Also if you suffer from this message "Card is write protected " ,you can solve it now with the program called " HP USB Disk Storage Format Tool 2.1.8" .It's free tool but fantastic formatting tool. Now download the program ,then set up it in your computer to start fixing your corrupt memory card .After installing ,open the program then choose from the first choice "device" the name of your card or flash .The second choice "File system" choose your formatting type weather fat or fat32 or ntfs .Put Mark sign on "Quick Format" then click on start .Wait a few minutes then your corrupted memory card now is totally fixed . The following way will repair your flash drive , but if we update the firmware we will lose the data inside the flash disk so be sure first that you don't need the data files on your disk before formatting . Please if you like the article , share it with your friends to fix usb problems . If this software doesn't work with your flash drive ,Also i recommend this article to read it , it will help you "
It aint working, i am trying to insert one SD into my fujifilm cam but still the same error. Thanks for sharing this information. I may try it. Right now I have a jump drive that's giving a few problems. An alert comes up every time I try to use it. It still plays music and videos that are on it. However, it gives quite a few signals that make me concerned whenever I want to use it. I think the information that has been provided here will prove useful to several people. i installed the program. but when i double clicked it to open it, an alert box displayed the message 'administrator permission is required to open this'. When using the HP Disk storage Format tool, it says the disk is write protected..
hi, my name is johno. My original HD went out on my xbox 360 console, so i purchased a 16GB usb drive as a temp fix. Everything was going fine till i awoke to the usb drive not working in my 360.. so i plugged it into my desktop, and tried to look through the files. the usb shows 14.4/ 16 GB used, but wont show details.. i tried to format, but it says the drive has write protect and i cant do anything with it. :( i have tried 'regedit' and cmd/diskpart/list disk/attributes disk clear readonly to disable it, but nothing. i have an problem of write proted disk. Did not work for me, Still write-protected, is there any other way? I have already tried the 8 ways and this one. but to no avail. Sir, I have a 16 gb memory card. When I am going to transfer some files to it, it doesn't play that file. It shows a message "E:/ is not accessible. The file or directory is corrupted or unreadable.". What should be done Sir. Plz help me Sir. - when connect to PC have an error "you need to format the disk"
- when double clicked have an error "the volume does not contain a recognized file system"
- when i want format have an error "The disk is write protected"
not working this method.. help..